SAPS guilty, neglects primary role of protecting the citizenry - News around the clock!! Following the alarming rate of insecurity occasioned by police officers who display a high level of unprofessional conduct, by sleeping on duty and giving robbers a lee way to perpetuate heinous crimes, many stakeholders have now called for an overhaul of the service to entrench the ethics and values of professionalism. From Mpumalanga, to KwaZulu-Natal the situation is similar. From varying disturbing videos and pictorial evidence, it appears as though cops in the country now take a special course on sleeping. 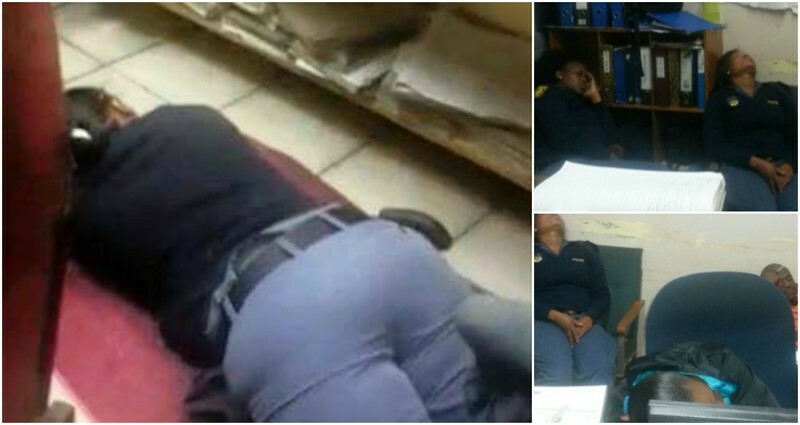 Different police officers have been caught on camera sleeping on duty, but in this particular incident, a police officer is seen sleeping while people wait to be served. 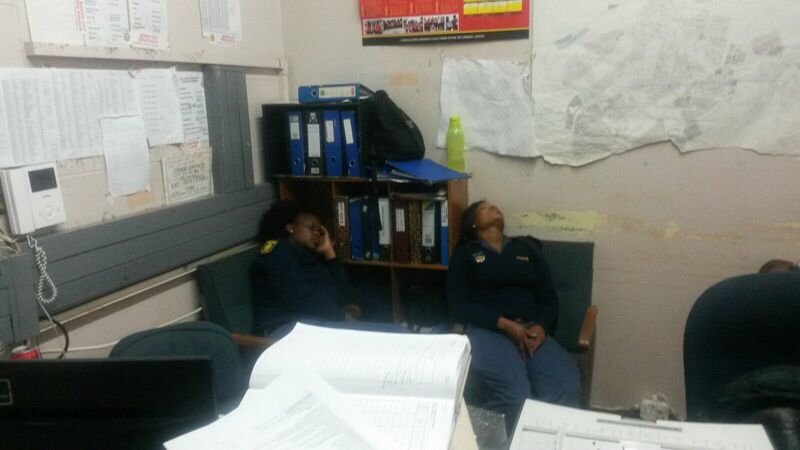 “According to an official report, a [member of the public] came to report a matter at the police station and found officers asleep,” said police spokesperson, Captain Zwane. In a similar development, another woman complained bitterly that an officer was sleeping while members of the public wait to be served, alleging he is drunk as even the noise made by members of the public still doesn’t wake him up. The person taking the video zooms in on the officer’s name tag that identifies him. What type of government can we expect under EFF?